Backstory: You know him from Snapchat. You know him as the most positive, self-motivated man on this planet. You know he runs Miami and loves to collaborate with anyone, anywhere, anytime including Drake, Lil Wayne, and Future. Need another clue? Here's ANOTHER ONE. 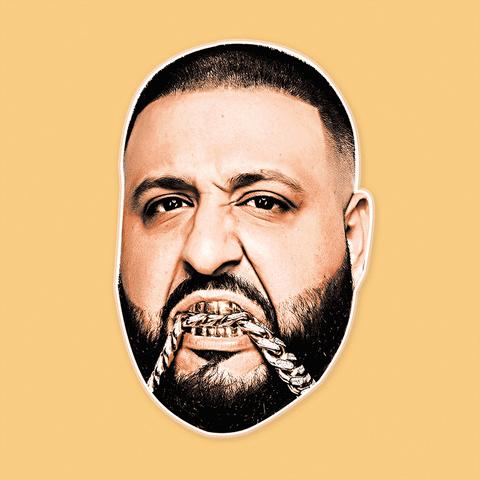 If he's not gangsta on the Ellen Show, then he's gangsta on his Jet Ski, it's DJ Khaled. 🤩DON’T JUST WEAR THE CELEBRITY, BECOME THE CELEBRITY - Need a new mask for a party, festival or Halloween? Here's ANOTHER ONE. If he's not gangsta on The ELLEN Show, then he's gangsta on his Snapchat. Bless up.